I hope everyone enjoyed the summer! I was happy to attend the “Oh Say Can U.C.” 4th of July Celebration at Standley Park as well as the National Night Out at Spreckels Elementary School on August 5. 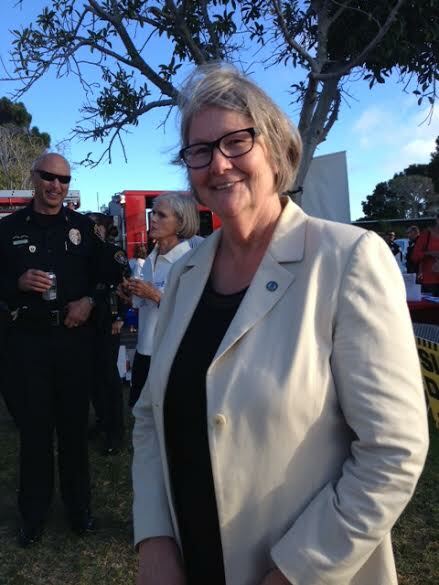 National Night Out is an annual community event that promotes partnerships between the Police and the community. Thank you to all of the community members that continue to be such great partners with our hardworking SD Police Officers. On July 13, the City Council unanimously approved a Zero Waste Plan. The goals outlined in the plan are to divert 75% of the City’s waste from the landfill by the year 2020 and to divert 90% by 2035. The end goal is to become a zero waste city by 2050. I am also pleased that the University Village Tot Lot project is scheduled to go out for bid in the fall with construction set to begin in February of next year. On a different note, I am disappointed to report that the Metropolitan Transit System (MTS) recently approved a thirty year contract granting naming and advertisement rights for the planned Trolley extension to University City without prior notification to the community. The details of the deal can be found here: http://www.sdmts.com/MTS/documents/2015-07-16.pdf. It is discouraging to see a lack of communication between UCSD, MTS and University City community leaders on such an important project. Despite the issues created by this, I am hopeful that we will have an improved public outreach process in the future. As summer comes to a close, take advantage of the summer hours at the Swanson Pool through September 7. Please see the City’s Park and Recreation Department website for more information on hours and scheduled closures: Mon/Wed/Fri 7:30am-4:00pm; Tue/Thurs 10:00am-4:00pm; Sat/Sun 12:00pm-4:00pm. 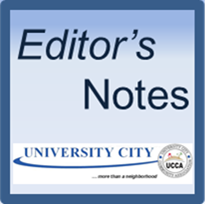 For more University City News, refer to the September UCCA newsletter. Volunteers are delivering the September UCCA University City newsletter to south UC residences and businesses this weekend. The newsletter is also available at UC libraries and recreation centers; and online at University City News on the Newsletter Archives Page https://www.universitycitynews.org/ucca-newsletter-archives/.